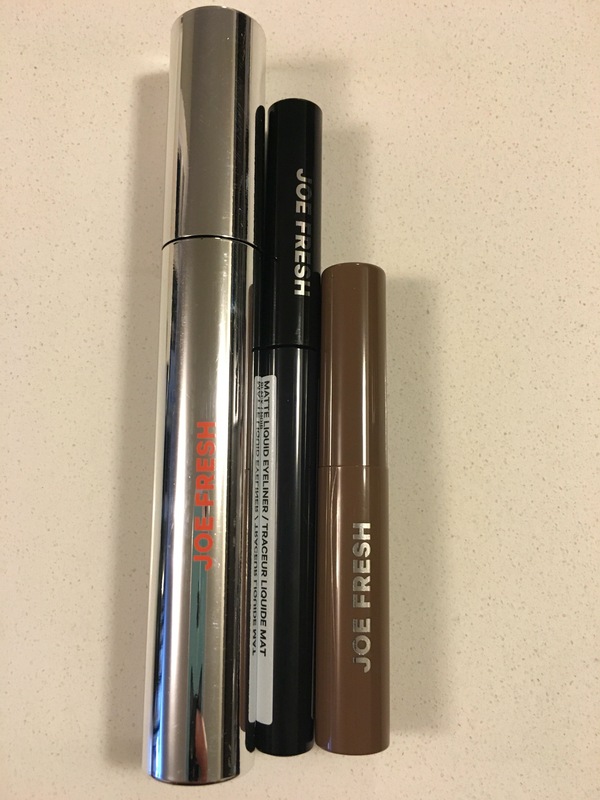 I am so excited that Joe Fresh Beauty has arrived in Shoppers Drug Mart!! When I was waiting for my hair appointment I decided to check out the line — and of course walked away with the Hydra Lash Nourishing Mascara with Argan Oil, Tinted Brow Fix and Matte Liquid Eyeliner. This is a GREAT mascara!! I am lucky in the sense that I have naturally long thick lashes – so I haven’t really had to think much or put much effort into the mascaras that I use. HOWEVER now that I have found this – I think I might found my new favourite and go-to mascara. I find that there is absolutely NO clumping – at all. I also find that my lashes don’t stick together, don’t look “cakey”. The brush is one of the best ones I have used in a mascara. Really does coat the whole last. And the price (about $12) is outstanding. Brow make-up are things that I desperately need in my life- so I am always excited to try new products. 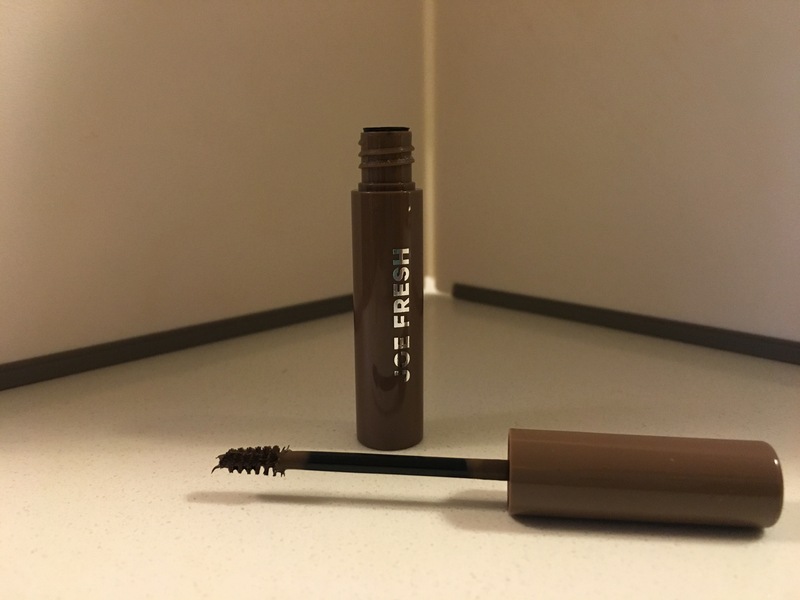 The closest comparison I have to Joe Fresh’s Tinted Brow Fix is Benefit’s Gimme Brow Eyebrow Gel. 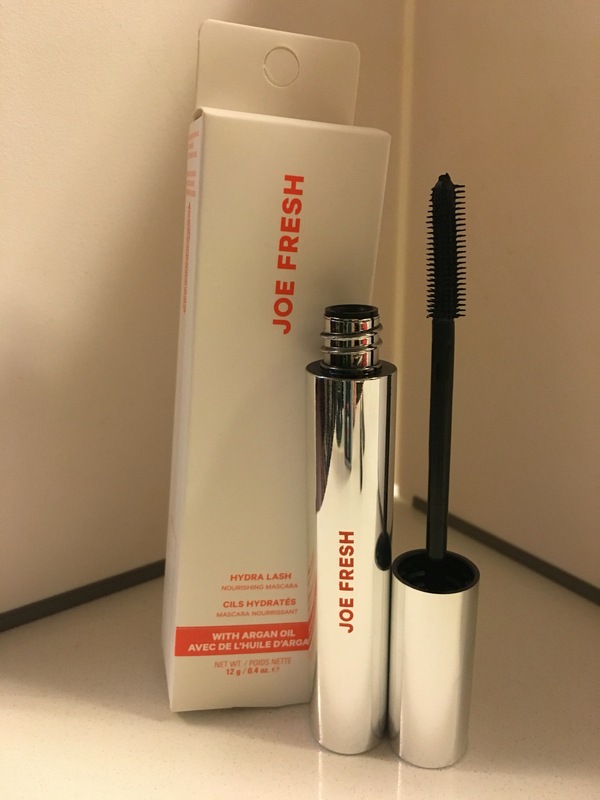 Both are really great products – but the Joe Fresh one is at a cheaper price point – which my wallet loves! 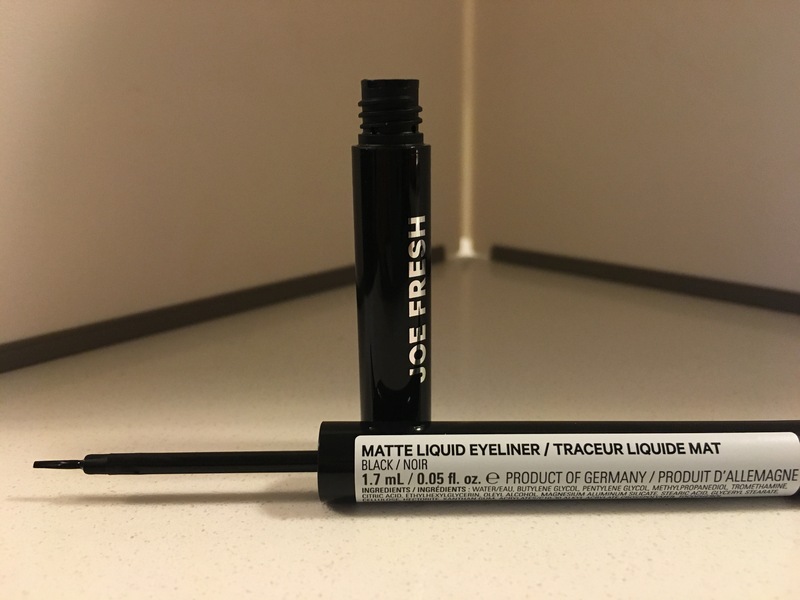 I love that this is a matte liner that dries fast but doesn’t flake off during the day. The only think I would change about it is that the brush could be ‘sturdier’ — but that also could be because I am used to using liquid eyeliner pens. This entry was posted in Beauty and tagged beauty, cosmetics, eye makeup, eyes, eyeshadow, Joe Fresh, makeup, Mascara by maldham. Bookmark the permalink.